As many burgeoning small business owners know, the lines between home life and work life are not always clear. 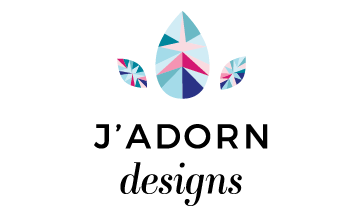 For me, the beginning of J’Adorn Designs happened on a weeknight while I was sitting on my couch and getting crafty at the coffee table. I made my very first macro braid necklace that night, and the business has stayed under this roof since then. I often dream of what it would be like to have my own studio in a space that’s separate and dedicated solely to that purpose. Instead, I have a dining room/office/workshop in a one bedroom apartment. It works for me, but it’s not really pretty and it’s definitely not Pinterest-worthy. I’m comforted to know that I’m not the only one suffering from studio-self-consciousness. Becka Robinson over at Life as an Artistpreneur articulated this sentiment perfectly in this post in which she discusses the dissonance between the beautiful dream workspaces that we long for and the practical, feasible spaces that we actually have. 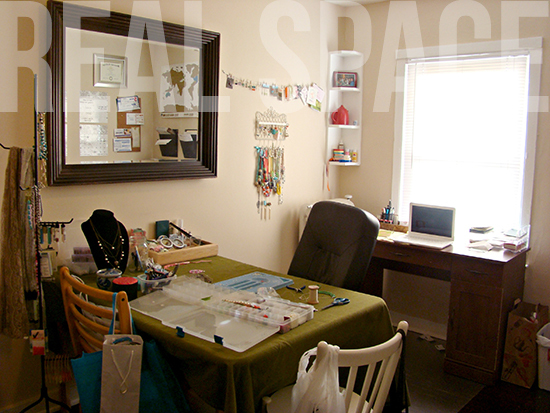 She started The Real Space Project “to show off the real life spaces of real life artistpreneurs. In all of their un-styled, not-magazine-worthy glory.” I’m honored to have my workshop included in this project, imperfect and tiny though it may be. 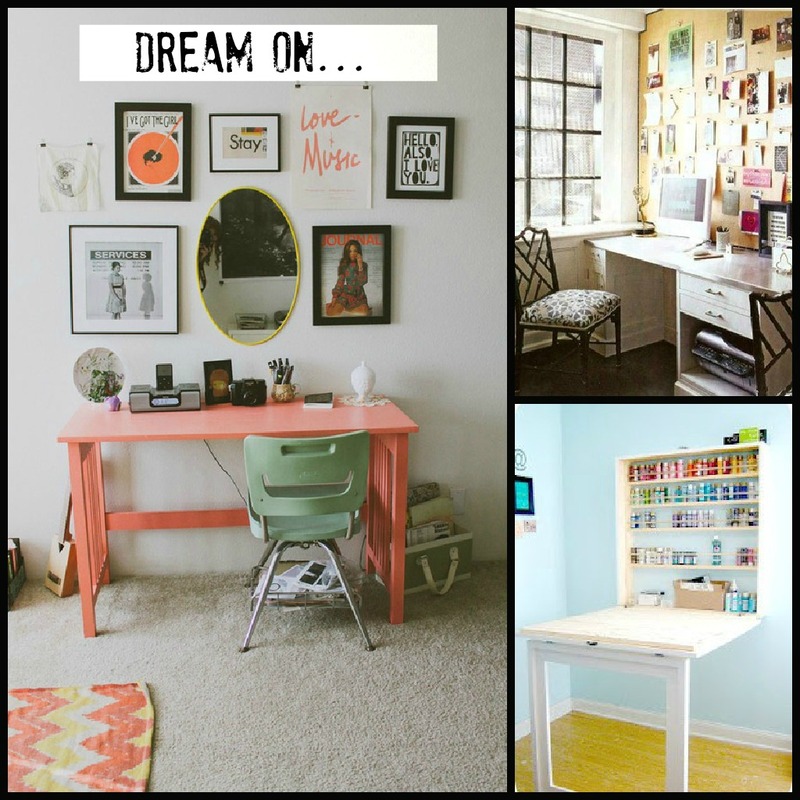 Below you’ll see the photo of my workshop that was featured in the project, but feel free to click on the link to see all of the other wonderful spaces from my fellow artistpreneurs! I’m thankful to Becka for creating this project, for reminding us of the value of our real life workspaces, and for highlighting the imperfect beauty (and power!) of a space that is more useful and effective than it is pristine. If you know my girl Kelly, you know that she loves pearls. 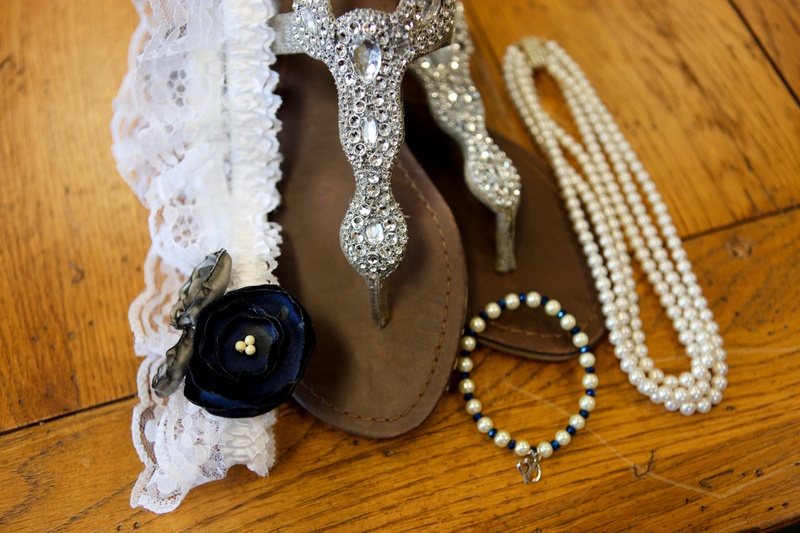 It came as no surprise to me that she would want to include pearls as a staple element of her bridal jewelry, and I had so much fun designing a set to go with the delicate, feminine look she had imagined for her bridesmaids. Pale peach, pink, and seamist were the colors of the day. 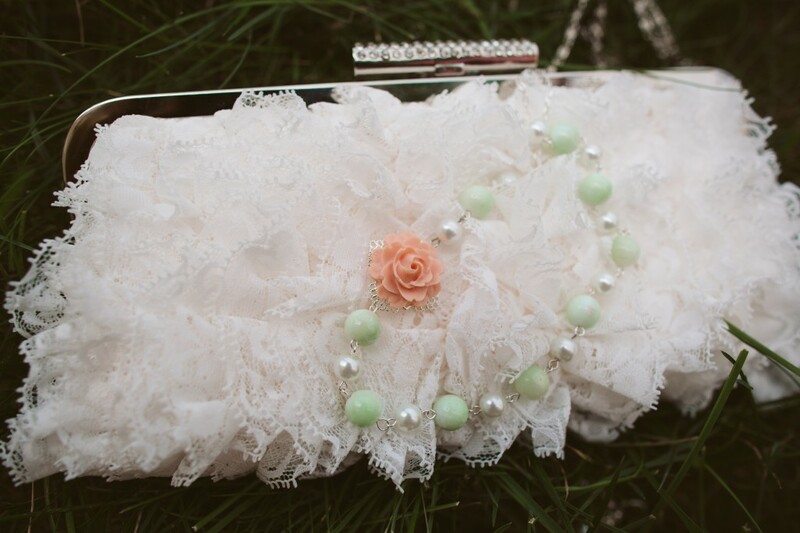 I decided to use white pearls as a starting point for the bridesmaids’ necklace, then added a peachy-pink floral cabochon to the design to bring in a little color and texture. 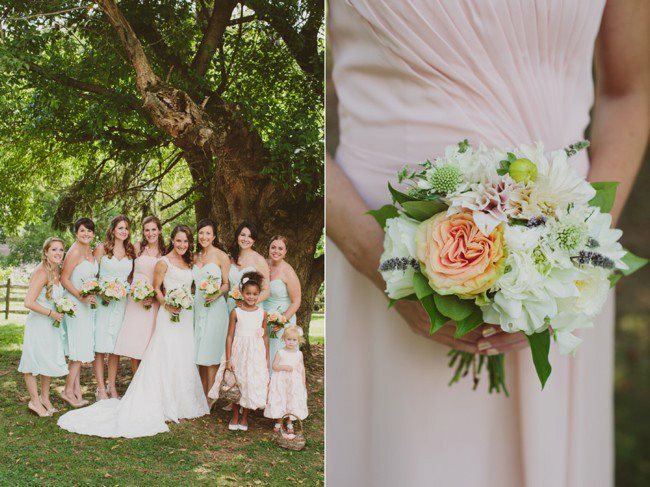 Since the matron of honor’s dress was unique from the bridesmaids’, I used mint-colored mother of pearl beads to tie in the full color palette to her look. 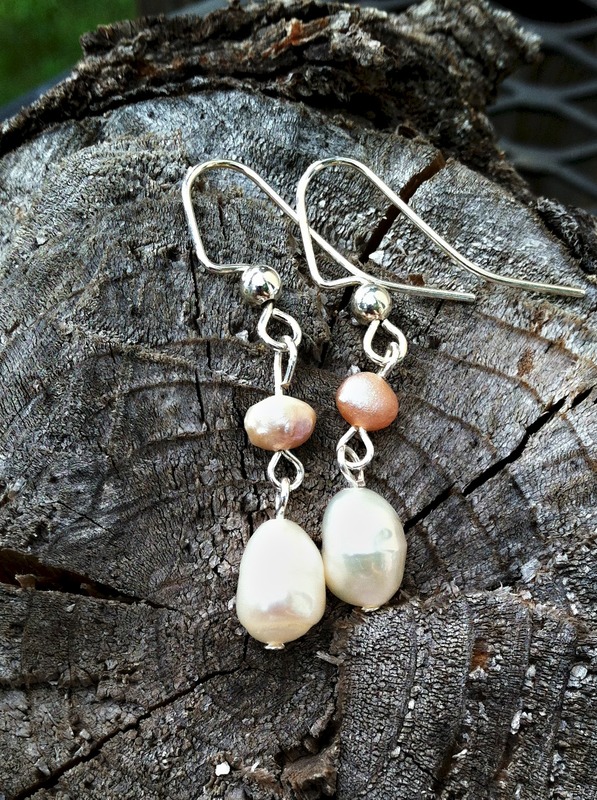 Kelly wanted the coordinated earrings to be simple and elegant, so I suggested a small drop earring with white and pink freshwater pearls. 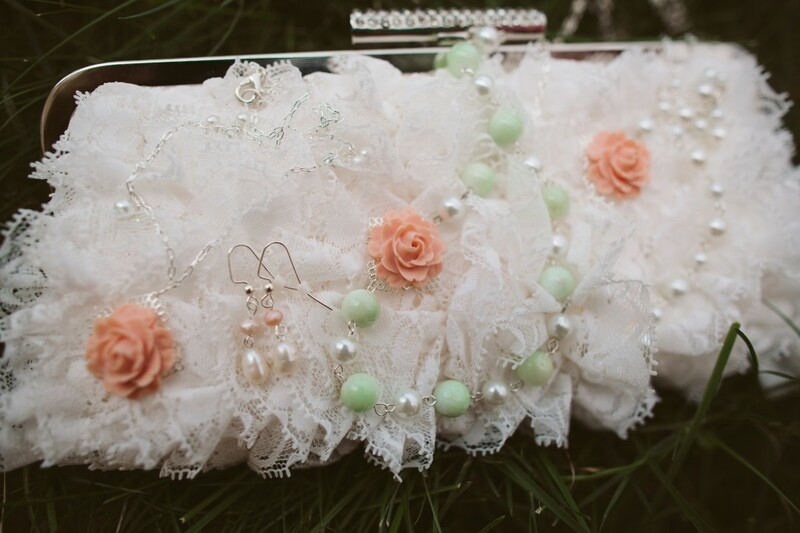 All of the bridesmaids wore this same earring design, which did a nice job of tying together the collective look. 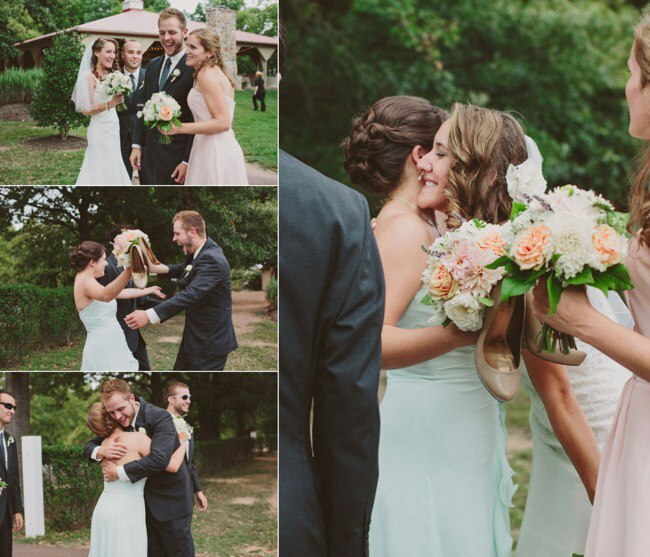 Kelly and Chris’s wedding day was one of elegance, joy, and beauty. I’m happy to have had the chance to contribute to that beauty, and to have stood beside my dear friends on the day they committed their lives to one another. I had the pleasure of creating custom wedding jewelry for a number of beautiful couples and their bridal parties this past summer. It’s a side of my business that I really love, and I hope to develop it further as J’Adorn grows. 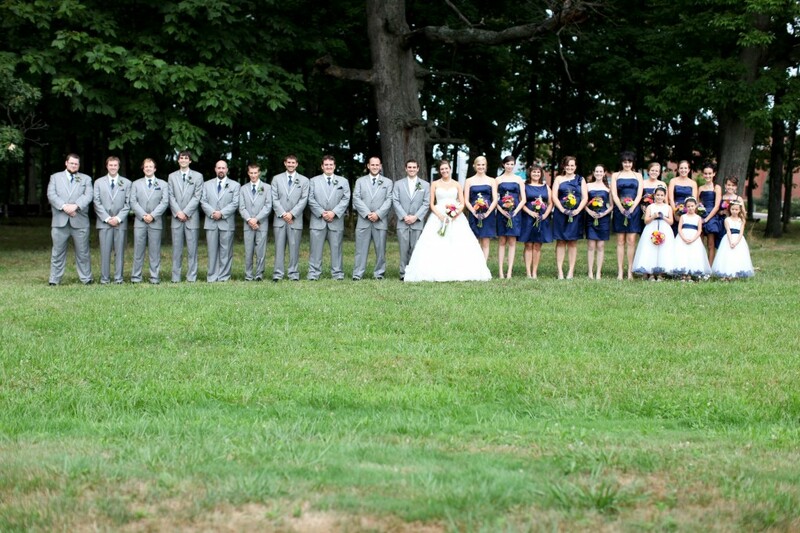 Mallory and Jake’s wedding in late July was a beautiful affair, and I was especially happy to contribute because Mallory has been a close friend of mine for nearly a decade. Mallory and Jake are electric together, and that quality flows from their deep love for one another and their shared passion for life & adventure. I loved collaborating with Mal to create an elegant, classic set of bracelets for her and her bridesmaids for their vintage travel themed wedding. 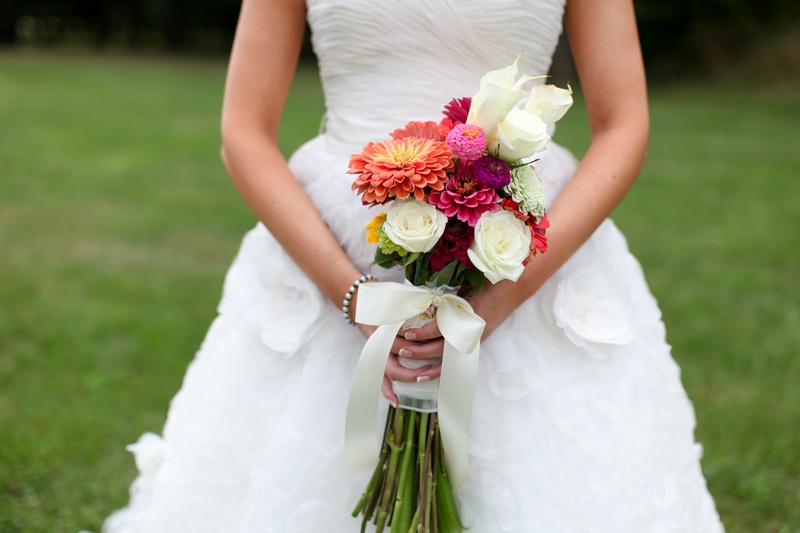 Mallory’s bracelet was designed to match the bridesmaids’ without being completely identical. 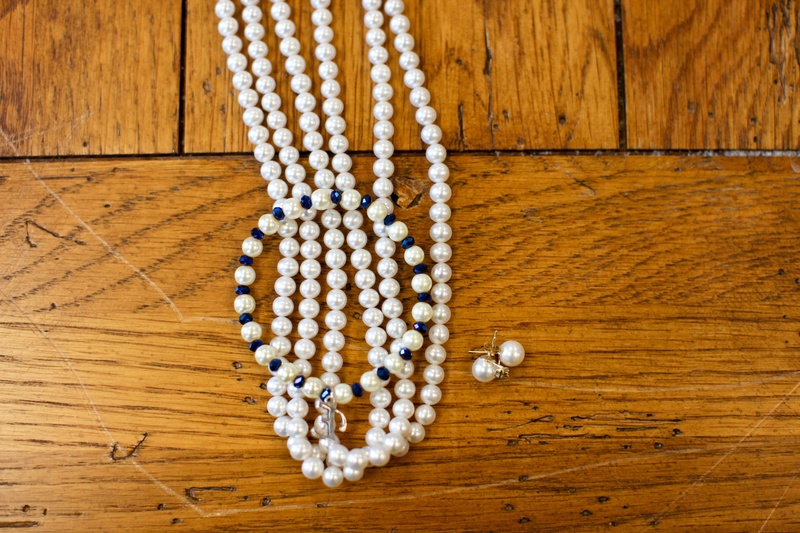 I used ivory glass pearls for her stretch bracelet and added some round sapphire crystals to coordinate with the navy blue bridesmaids’ dresses – and to serve as her “something blue!” I finished the piece with a silver “E” charm to symbolize her new last name. The bracelet ended up matching the rest of Mal’s bridal jewelry perfectly, which was wonderful given the fact that I didn’t actually see any of it until the day of the wedding! I loved the glamorous, classy style that Mallory chose for her wedding day and am honored to have had the opportunity to contribute. Congratulations to Mal and Jake! May this beautiful day be only the beginning of your adventures together!